What is this site about? 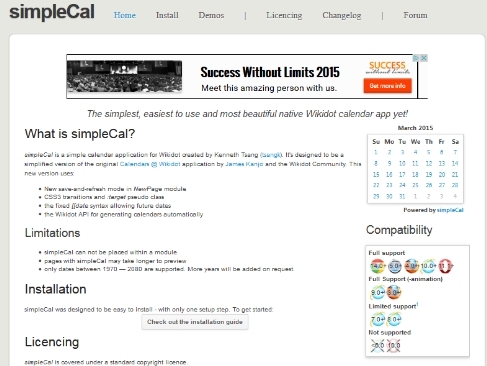 simpleCal is a simple calendar application for Wikidot created by Kenneth Tsang (tsangk). It's designed to be a simplified version of the original Calendars @ Wikidot application by James Kanjo and the Wikidot Community. 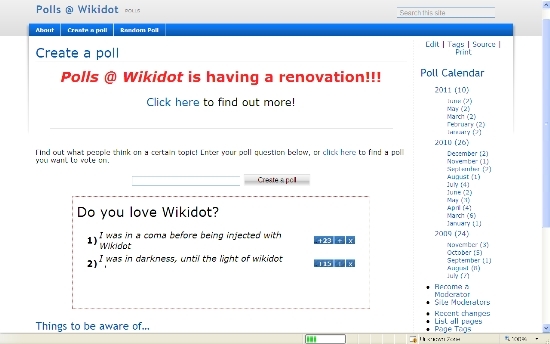 Wikidot features: "Cross Site Includes": typical mini calendar(current month): [[include :cal:mini]]! 1) I have inserted the demos from the main site here..
2) BUT I have not yet created the "cal:" autonumbered category … that means we cannot (yet) use it for new eventa here on the community! But the include is working well for english+chinese people with the events stored on the cal:### pages.